Christmas is coming! And to get us in the mood her at Love Chic Living we’ve been doing a little Fireplace Christmas decorations styling. The lovely people at Dunelm challenged me to spend £50 at their store and create a little Christmas scene at home. I could have chosen the dining table or the Christmas tree but thought we’d do something a bit different and style up the mantlepiece. The felt snowflake garlands were only £2.99 and I think they add to the modern, Scandi feel beautifully. And then finally the rustic, love garlands hang at either side of the fireplace giving that all important (to me) symmetry. The stags and lamp are my own that I’ve moved in to help with the finished look. Altogether I spend £51 on this look and I’m really pleased with how it turned out. 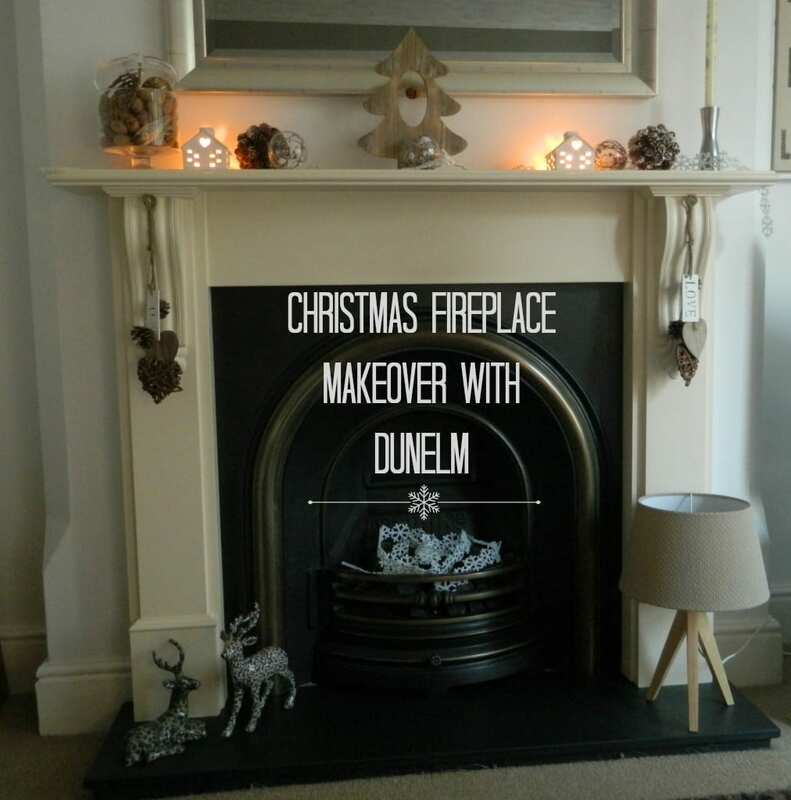 You can shop the look at the Dunelm online Christmas shop, or visit a local store if you have one. What do you think? Would you give a Scandi feel to your mantlepiece this year? Too rustic for you maybe? You could add a bit of colour perhaps, red would work well and brighten it up if it’s not for you. Thanks to Dunelm for the £50 challenge. Looks lovely! My mother in law is a bit obsessed with Dunelm Mill and now I know why. We don’t have one too close to us, but I’m a sucker for an xmas decoration bargain. If I head over I can pop and see the MIL too which is always good for pre-xmas points! These are really lovely…the rustic look is so cosy and clean. Will have to take a look at their collection online. Great post! I was really impressed Katie, good value and bang on trend. Happy shopping! Beautiful, Jen. 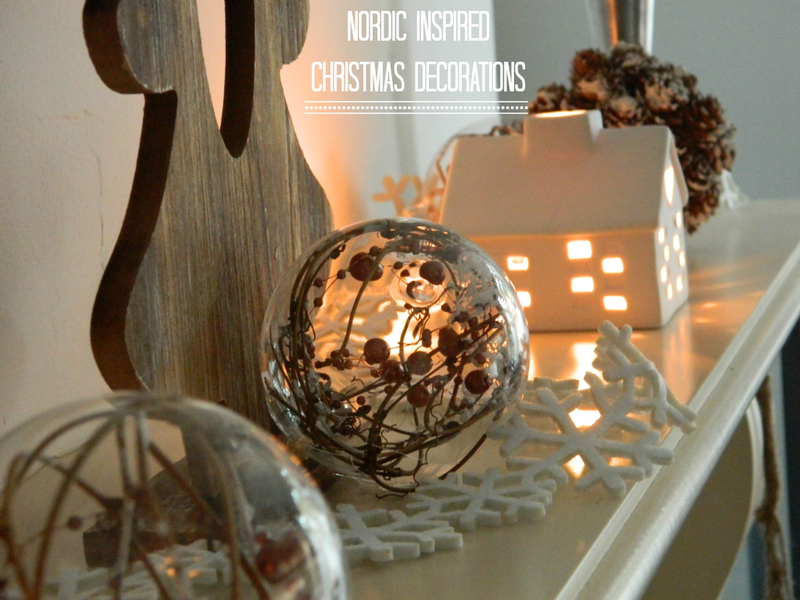 I love the rustic, nordic Christmas look and really like the way you’ve kept to neutral colours, its very chic and relaxing! Dunelm Mill really do some great, affordable homewares. 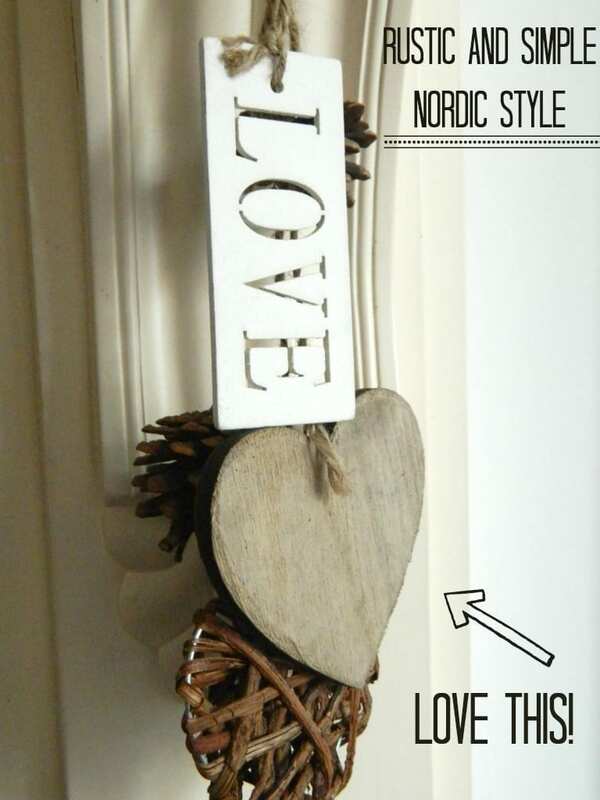 Thanks Antonia, I’m really drawn to the rustic Nordic look this year, must stop buying things bits for it! !